Since President Obama announced it in 2011, the administration’s “regulatory lookback” has saved an estimated $28 billion by eliminating or modernizing obsolete rules with an eye to easing the burden on industry, an Office of Management and Budget official said Friday. 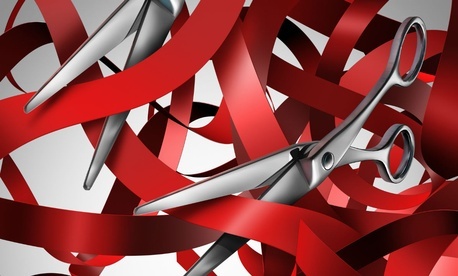 “These efforts significantly benefit states, local and tribal governments, businesses, and the American people by making all levels of government more efficient and effective,” wrote Howard Shelanski, administrator of the Office of Information and Regulatory Affairs at OMB, in a Friday blogpost. In a summary of agencies’ first biannual regulatory report for fiscal 2016, Shelanski highlighted more than 50 new retrospective initiatives aimed at reducing burdens for state and local government; reducing burdens for industry (particularly small and new firms); regulatory modernization; and identifying gaps in regulatory regimes. Many in Congress, however, are unimpressed with the Obama incremental approach. The House in January passed two bills that would set up new authorities to review or block agency rules. The Senate, on a slightly more bipartisan basis, is considering bills to require more independent analysis of the cost of regulations and more advance notice to interests affected by new rules. Other pending legislation would bar “Midnight Regulations” during the final weeks of an administration and soften fines on parties in violation of rules. OMB’s examples of savings from altered rules include the Environmental Protection Agency’s proposal to revise its Exceptional Events rule to clarify and streamline the requirements the rule imposes on state, local, and tribal air quality agencies when exceptional pollution events occur. It would trim requirements for modeling and documentation. The Interior Department’s Bureau of Indian Affairs is streamlining certain forms and requirements imposed on Indian tribes seeking housing aid, reducing paperwork by 6,400 hours.